In case you need a few last-minute Christmas party ideas, these were rounded up from Pinterest! From my very own archives. Penguin olive appetizers: ridiculously adorable, relatively easy, really cheap. 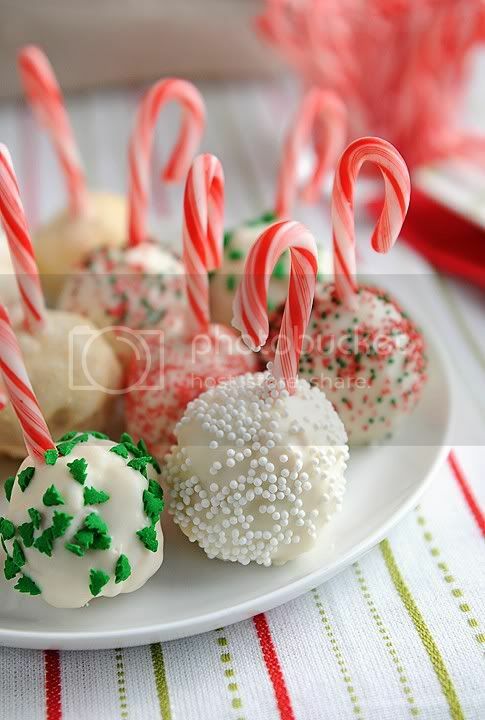 Peppermint rice krispie treats: pretty cute little ornament rice krispies! 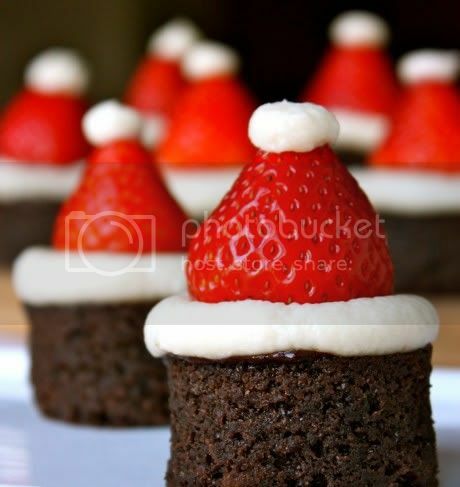 Santa hat brownie bites. Adorable! 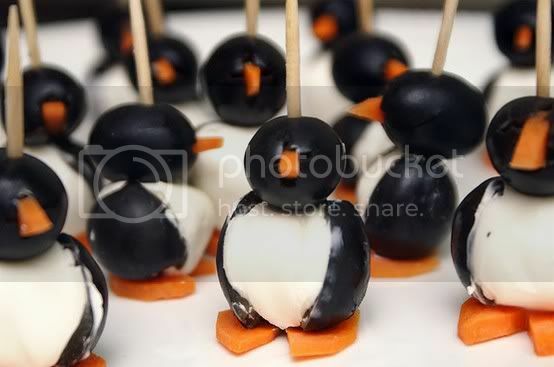 I made your Penguin Olive Appetizers last year & they were a HUGE hit...so cute, easy, & delicious! Cute appetizers! Thanks for sharing. I'm off to get your rice krispie recipe! Oh good! They're not actually mine (I just linked to somebody else's page who made them) but I hope they work well for you! Oh I'm so glad, Em!! Hope they go over big :-D. Merry Christmas!